Send a parcel to Wales with NI Parcels. We provide cheap, fast and reliable courier services to Wales! Whether you’re sending a parcel to a loved one in Swansea, or perhaps you’re a small business shipping products to Cardiff – NI Parcels can provide a courier service to suit your needs. We offer affordable and convenient door to door courier services from all addresses in Northern Ireland to all addresses in Wales, which you can book and pay for online within minutes from the comfort of your own home. Booking your parcel delivery to Wales with NI Parcels is easy. There is no complicated sign-up process to complete – all you have to do is register your email address to get started. Simply enter the specified parcel details on our homepage to get a quote. You’ll be given a list of the lowest prices and fastest delivery times for your shipment – just select whichever service you prefer to book. Once you’ve booked, we’ll take care of the rest. We’ll collect your item in Northern Ireland and deliver it straight to its destination in Wales. You’ll be given access to full online parcel tracking to allow you to monitor the progress of your shipment as it makes its way over to Wales. The tracking will update to let you know when its out for delivery – so you’ll know exactly when to expect it. Cheap parcel delivery to Wales. At NI Parcels, we use only the best couriers in the industry for our shipments, such as: DPD and Parcelforce. We have negotiated fantastic low cost deals with our network of couriers, which means that you still receive the same high quality of service, but for a fraction of the price! Booking your courier to Wales with NI Parcels is up to 80% cheaper than booking with the courier directly. With NI Parcels, you can be sure that your parcel will arrive in Wales fast. We offer same day collections (if booked before 10am) and next day delivery on items sent to Wales. Simply get a quote on our homepage to view a list of the best delivery times. NI Parcels offers £50 free compensation cover on every single shipment. 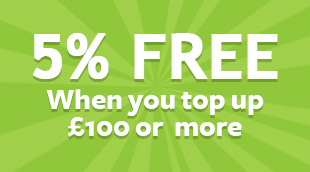 If you need to, you can increase this value right up to £1,000 for a small additional fee during the booking process. Before booking your courier to Wales, we recommend reading through our list of prohibited and no-compensation items to ensure your parcel is covered. NI Parcels is a pay as you go parcel delivery service. We don’t have a price list or a rates card. All items sent with us are priced on a parcel by parcel basis, based on their size and weight, to ensure that you receive the best value for your money. Our prices are particularly competitive for larger and heavier items over 5kg. 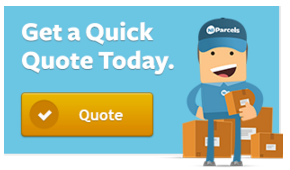 To see how much you could save on your courier to Wales, get a quick quote from NI Parcels today!